Luna Yoga, by Adelheid Ohlig (with additional notes by Susun Weed), which is small, personal and straightforward while also expressing its potent message of healing. Luna Yoga is both the title and the name of the actual style of yoga created by Ohlig, who was suddenly diagnosed with a class 5 (late stage) cervical cancer when she was in her mid-thirties. Ohlig responded to her diagnosis by listening to her body for what it wanted as a treatment. What it wanted, she discovered, was not drugs or surgery, but the very movements and breathing techniques and self-love which formed the foundation of Luna Yoga as she now teaches it. 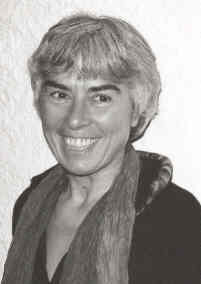 This meant incorporating Ohlig’s own knowledge as a yoga teacher with the methods of Aviva Steiner, a Hungarian yogini with whom she studied, who researched a “menstrual calisthenics.” Essential to the effectiveness of Luna Yoga is the awareness and openness with which the student connects to her pelvic energy. The idea here is that warmth is generated and circulated to the pelvis, through the pelvis, during the Luna Yoga practice, which is why it is so indicated for gynecogical illness or discomfort. Within two years, Ohlig was completely free of the cancer, but her journey had, as they say, just begun. 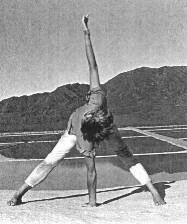 This personal element—indeed, personalizing element—is what makes the book so unusual in terms of yoga instruction. 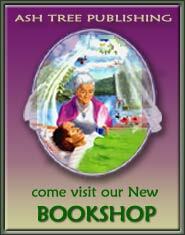 It would be one thing, and certainly wonderful, if Ohlig’s healing journey involved an exact observance of a tradition (e.g. Yoga, The Healer). The switch here is that Ohlig made yoga her own and this is what worked, and in this personalization she makes room for other women and men to listen to their bodies for answers in healing, as opposed to simply looking to yoga (or, outside the self in general) for healing. And she does this wisely—getting into the philosophy of yoga in the early pages—and responsibly—asking that the reader “seek out a teacher” and have a health exam before attempting the exercises.